Sushil expressed his "shock and surprise" over the allegations levelled against him by Rana. "When I had won the trial, I had no other bout to fight and I left the wrestling hall straightaway to meet the waiting media outside. India’s two-time Olympic medalist Sushil Kumar is in danger of missing Commonwealth Games as he could be suspended if Delhi police file a charge sheet against the wrestler in the case of a brawl involving him and fellow wrestler Praveen Rana during the selection trials for the Gold Coast CWG. 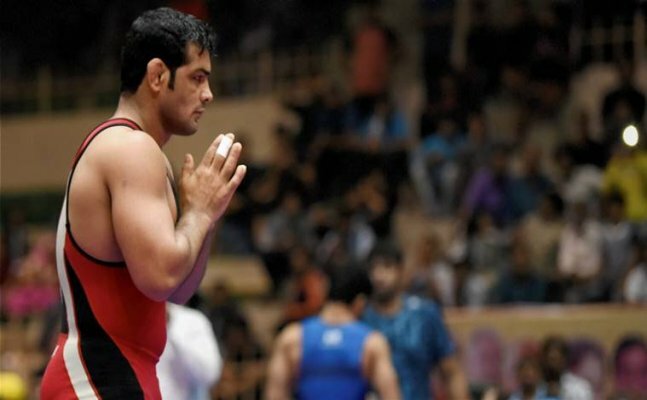 Sushil in his defence stated that he would never do anything intentionally or unintentionally to bring the sport of wrestling into disrepute. "Wrestling is my life and I am always committed to the sport of wrestling. I had no intention to demean wrestling or any of the wrestler and I will never ever do it. I myself didn't want to disrupt the discipline of the federation and I'll always follow it in the future. I want to assure that neither I nor any of my supporters were involved in this whole incident. I condemn the entire episode." Instead, Sushil expressed his "shock and surprise" over the allegations levelled against him by Rana. "When I had won the trial, I had no other bout to fight and I left the wrestling hall straightaway to meet the waiting media outside. Earlier, Praveen accused Sushil of personally instigating his supporters to manhandle him.